Permission was granted by Cornwall Council’s Strategic Planning Committee on 30 July 2015 for the new 135,000 sq ft Truro City Shopping Park on the current site of Truro City Football Club. A second permission was granted for a new 4,000-seat club ground at Treyew Road and Silver Bow for the Club at the same Committee. 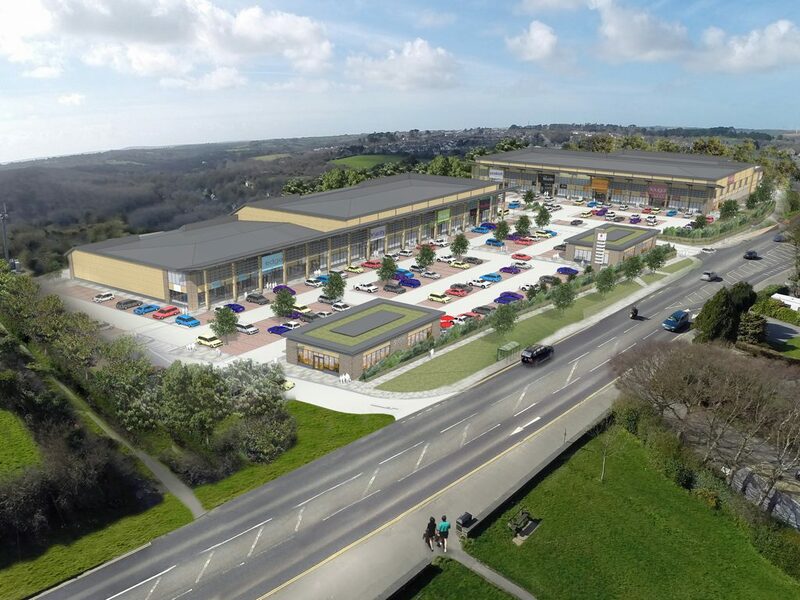 Truro City Shopping Park will include 75,000 sq ft of non-food retail space, 5,000 sq ft of cafe and restaurant space and an 11,000 sq ft gym. The new Truro City Football Club ground will include a 4,000 seat stadium, conferencing and hospitality facilities and a 3G all-weather training pitch, allowing the club to develop and nurture new talent.